We are very sorry to inform you that this event has had to be cancelled. There are a few reasons for this, ones that we don’t wish to be aired publicly. The venue has been impeccable in their approach and no fault is towards them what so ever. Full refunds will be issued shortly and we are incredibly sorry for the inconvenience and disappointment that may be caused. We’ll take some time out to reflect on the issues that arose and make sure they don’t happen again. No excuses. For the next event in Melbourne we promote we’ll offer the ticket buyers free tickets to the event if you wish to come along to in some way make up for the troubles. Last year we held our Trance Central event around the same time and was at capacity so this time we are bringing you 2 Legends of the Oldskool across 2 rooms at Brown Alley. The boys are back (Stuart will be recovered by then) again this time with their 2nd Melbourne Open To Close Set. 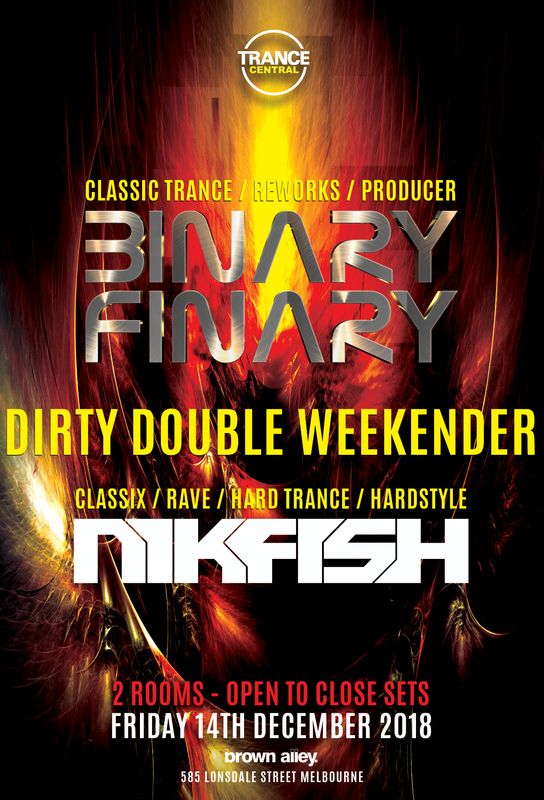 Full of Classic Trance Anthems, Binary Finary Reworks and Remixes as well as tracks from their forthcoming Artist Album. This tour will see them smash a 6 hour set for you all in the main room of Brown Alley. A regular in the Melbourne Club and Rave Scene. 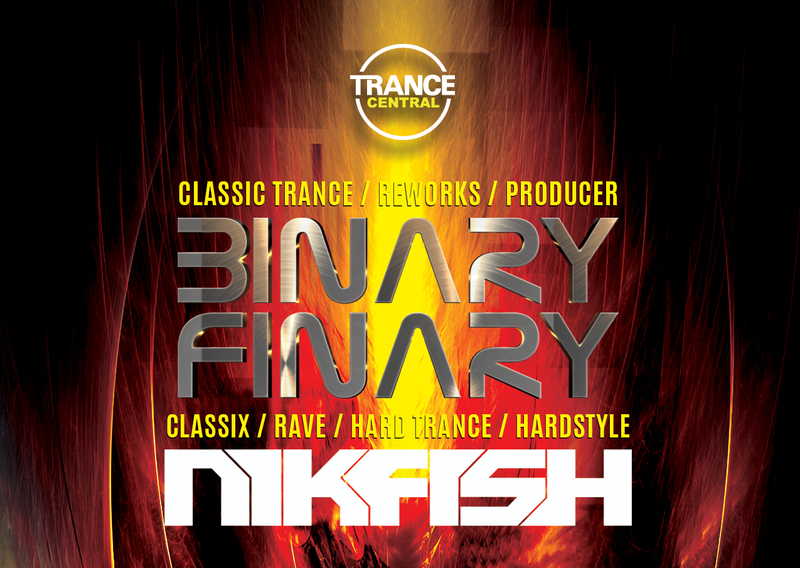 Nik will be playing the full night on vinyl with tracks he played in Melbourne from the Early 90s and Rave era right through to his signature banging Hardtrance sounds from the past 2 decades.